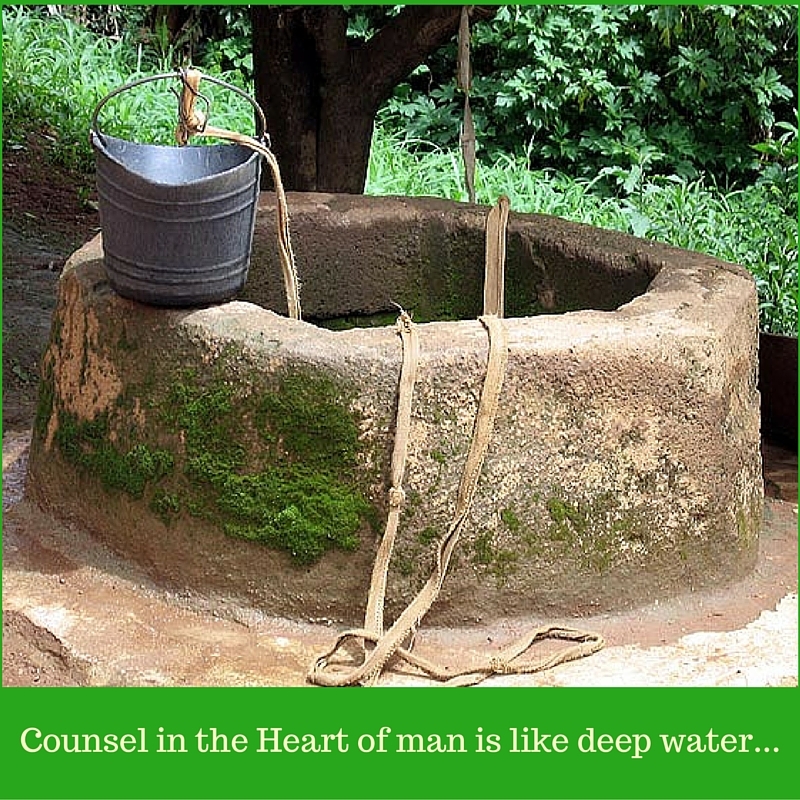 The word “counsel” is used a number of times in the Old Testament, and it is an interesting term. It sometimes simply means God’s wisdom and direction. It can also refer to resources that provide wisdom or guidance in making decisions, or it is used to describe sage advice. Here in Proverbs 1:5 and 12:15, it is a noun that means to bind, or to pledge. It comes from the picture of using a rope or a cord on a large animal in order to pull or guide it in the proper direction. Without assistance in steering, an ox could end up plowing crooked rows, or it might wander over into a ditch. So it is with us. Our actions will be more profitable when they are guided by wise counsel. The Bible says that not only is God a wonderful source of counsel, but so are others who have been blessed with wisdom. There is a godly wisdom that only comes from walking with Him and being invested in His word. But Wisdom can also be practical, attained through life experiences. There is an old saying that “Good decisions come from experience. Experience comes from making bad decisions.” I know I have illustrated the last part of that homily many times. Perhaps you have too. When Proverbs says, “counsel in the heart of man is like deep water, but a man of understanding will draw it out”, WHO do you think of? Chances are that after you have prayed and looked into God’s word for advice, they might be the right person to call when you are making your plans or wrestling with a big decision. Get wise counsel. Make good decisions. We all have times we wish for good advice that we could keep. Godly counsel can be there to help you think things out. A man of understanding can provide a bucketful. If you must choose, then I advise you try that on for size. This entry was posted in Daily Devotions, Poetry, Thought for the day and tagged Bible, counsel, Daily Wisdom, Devotional, inspiration, observation, Proverbs, spiritual, wisdom by admin. Bookmark the permalink.